that picture is amazing though you rock!!! iLvt - that is too funny. I think you've summed it all up. Carrie - your niece is totally awesome. A new Emmett lover at such a young age. How, Sweet. Just wanted to let you know that I got a whole different number then you did but your records are probably more accurate. I came up with 36. I'm trying to keep track of everyone's names and it's getting very difficult. Wouldn't you agree. Aww, I don't have facebook so the link doesn't work for me. D: Try uploading it to photobucket, maybe? Or whatever image host you use. I had an extremely stupid moment and hit the 'Submit' button without thinking. 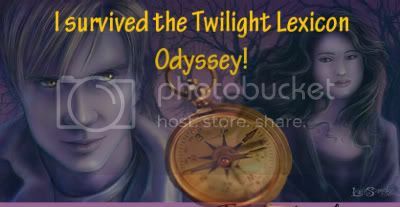 IloveTwilight, that banner is amazing, haha. My favorite has to be the tape across his mouth. For some reason, that made me bust out laughing. -Is so easily amused- The 'your picture here' thing was hilarious, too. Last edited by Pandancer on Sat Nov 29, 2008 11:42 pm, edited 2 times in total. Wow I'm off for half the day and you guys post like crazy. I finally got caught up. Maybe I need to give up sleep altogether if you guys are posting this much while I'm gone. Everyone's always asleep when I'm up though. Welcome other new EDC members, I'm Cas or Lins. Emmett as a girl would be hilarious. 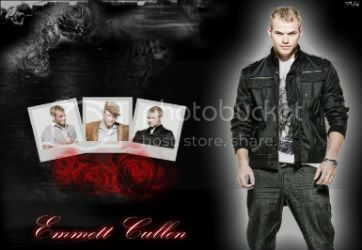 Emmett's story would be awesome in the book. Last edited by cullensallovamybinda on Sat Nov 29, 2008 11:49 pm, edited 1 time in total. cullensallovamybinda wrote: ok just 4 u bri will uno momento..
And this is why you are ownsome. And I agree on the mascot thing. Carrie's niece has to be one of the youngest Emmett lovers I've ever heard of. That's pretty flippin' sweet! Haha. Last edited by Pandancer on Sat Nov 29, 2008 11:54 pm, edited 1 time in total. I'm really just holding out that SM will eventually return to the world of Twilight and write something focusing on the rest of the Cullens.. Emmett in particular.. so we can get to know them even better.